Tank Products are all-composite linerless unibody construction type V pressure vessels. They are built using Hexcel carbon fiber material, and the resin is a Scorpius proprietary cryogenic high performance matrix, termed Sapphire 77. 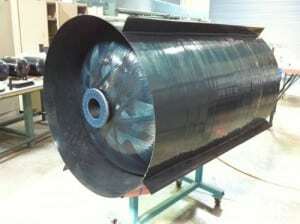 The composite tanks are characterized by patented technologies like all-composite polar bosses (including the boss threading), incorporation of external structural stringers and internal slosh baffles. The tanks are unibody structures and can become the primary structure of a launch vehicle or a spacecraft. Additionally, SSLC also commercially sells tanks incorporating a positive expulsion device (bladder), which is used for spacecraft in-space propulsion. The applications of the Pressurmaxx tanks are not limited to space, but span the Aeronautics, Unmanned Aerial systems (UAS), Unmanned Underwater Vehicles (UUV), automotive, Energy, industrial, medical, military, special ops fields, and more. This innovation creates a system that, in comparison to the traditional approach, has fewer failure modes, and is applicable to both chemical and electric propulsion systems. Longitudinal and circumferential stringers with integral shelves, and holding mechanisms, can be customized to attach features to support all of the spacecraft equipment. These features will replace the separate mission-critical primary support structure, tanks, struts, straps, braces, clamps, and brackets traditionally required to hold subsystem parts in place. Yet still allows for easy installation of various payloads and bus subsystems with external stringers and shelves. The new structure has extremely low coefficient of thermal expansion over a temperature range from cryogenic to 175°F. Structures that act as one unified structure which integrates the propellant tank and does not require additional support elements of any kind. Our configurations combine primary and secondary support structures into one single propellant tank which is significantly lighter, stiffer, and stronger than traditional tanks. Composite materials have very low coefficient of thermal expansion relative to metal structures and the need to design around these concerns is minimized. 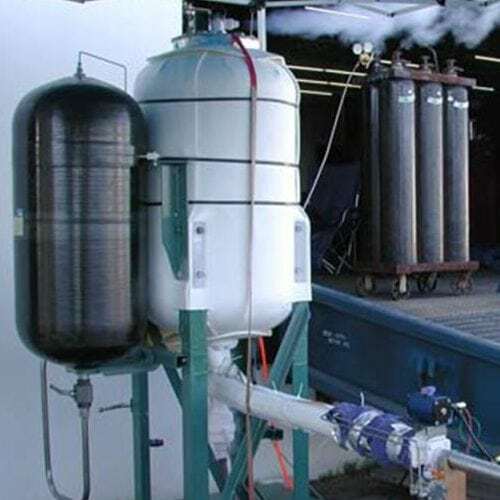 SSLC High-Performance Pressurization System (HPPS) is based on tridyne. Tridyne is a system where very little quantities of GH2 and GOX enrich He which is the pressurant gas. Due to the predominance of helium in the mixture, the system is fairly safe. 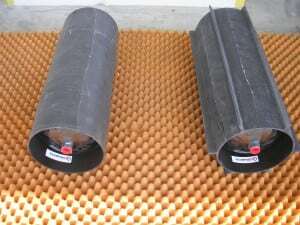 During operation, GH2 and GOX react in the catalyst bed and produce small quantities of water and a great deal of heat, which increases the temperature of the He. 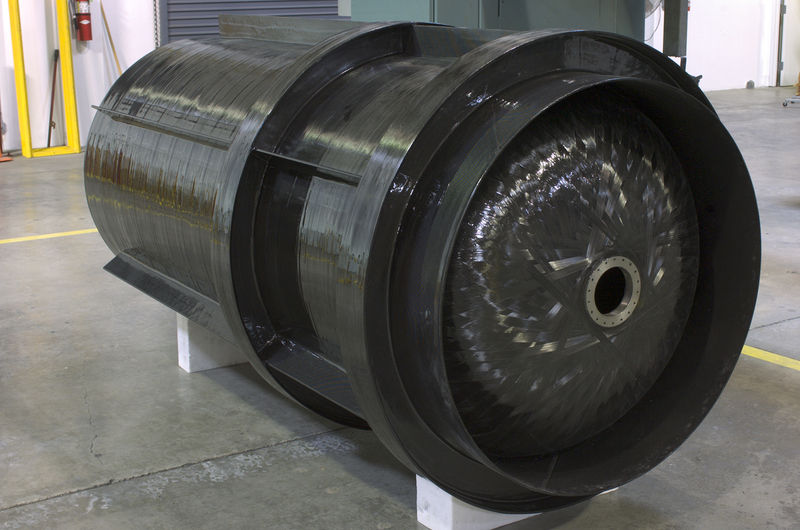 The tridyne tank, internally, is configured with a heat exchanger. Thanks to this system, it is possible to save about 50% in mass of both the pressurant gas and the pressurant tank. The key advantage of the HPPS is that it is not a blowdown system. HPPS is a low-cost solution that has virtually no moving parts.